On our first snow as we shivered getting used to the suddenly-freezing temperatures, this warm drink was fun to make and a huge hit with all ages. I used fresh pumpkin puree. You could use puree of any winter squash. Of course, you could also use canned pumpkin puree. Substitute a strong cocoa drink for the cacao if you don’t have it. The recipe is extremely forgiving. We used dairy milk but coconut milk would be divine. For the cacao, I used ground nibs as I describe in our cacao drink recipe. We use this brand of cacao from our affiliate partner. 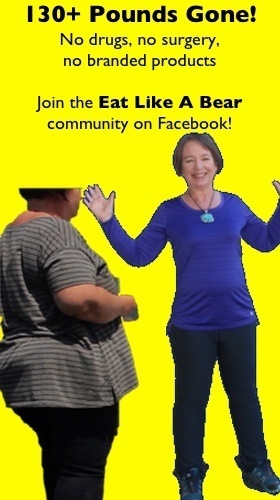 I recommend two tablespoons in a 1/2 cup of water for the recipe here — a strong mixture. Cacao does have caffeine. This drink does not have a huge amount of caffeine given all of the milk but it may not be the best night time drink for caffeine-sensitive children. This recipe makes about 3 1/2 measured cups of the beverage. Whipped cream and spices for serving. Combine all ingredients except the whipped cream and extra spices in a sauce pan. Warm to drink temperature — close to boiling if you want a very hot drink. 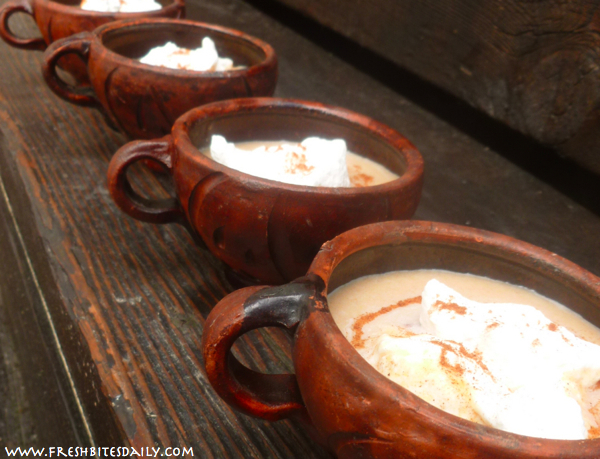 Pour into individual cups, add a dollop of whipped cream and a dash of the spice blend. 5 Comments on "It’s the world’s healthiest chocolate and served with pumpkin. You can’t go wrong." I have been canning, freezing and dehydrating this year. This recipe looks yummy for winter. I will try it then. 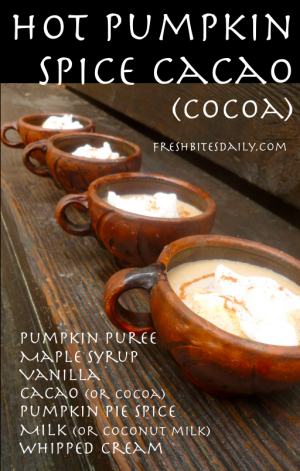 Hi – a little confused….to be clear do I use 1/2 cup cocoa if substituting or cocoa drink? Thanks!!! !